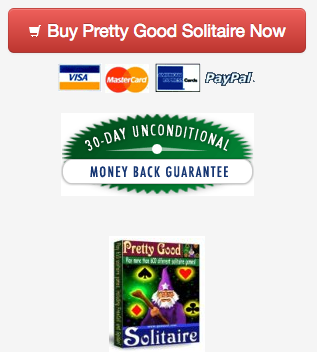 A new version of Pretty Good Solitaire for Windows is coming soon. 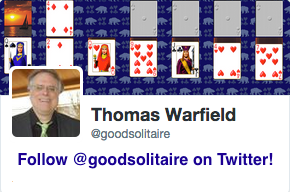 Pretty Good Solitaire for iPad now has 700 games. It is on sale 40% off this weekend until June 5th. See it in the AppStore at https://itunes.apple.com/us/app/pretty-good-solitaire/id645018925?ls=1&mt=8 this weekend to get the sale price. Our MahJongg solitaire game contains solitaire games like FreeCell and Spider with MahJongg tiles, and classic MahJongg tile games like Four Rivers (Shisen-Sho) and Pelmanism (Memory), and the classic MahJongg solitaire tile matching game. Either the Windows or Mac games are available. The newly updated Most Popular Solitaire for Windows or Mac is a collection of 30 of the most popular solitaire games for people who want a smaller collection than Pretty Good Solitaire. This game is at Indian.